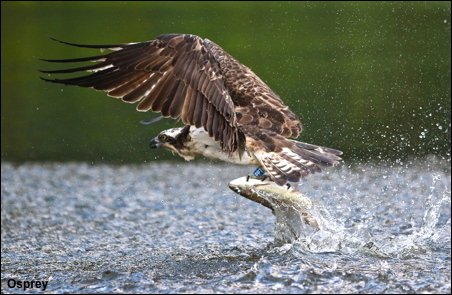 I have always wanted to film Ospreys catching fish in the Scottish lochs and a short visit to Speyside last week provided the perfect opportunity. The only problem is that you have to be in a hide overlooking the feeding loch before the Ospreys arrive and that meant before 5.00am! During our visit to Speyside there were many other forms of wildlife to be seen and some of those will be shown in next weeks gallery.